A.L. 666-1 was discovered in 1994 in Hadar, Ethiopia. It dates to ~2·33 MYA and has been attributed to Homo habilis. A number of Oldowan flakes and choppers were found as well. 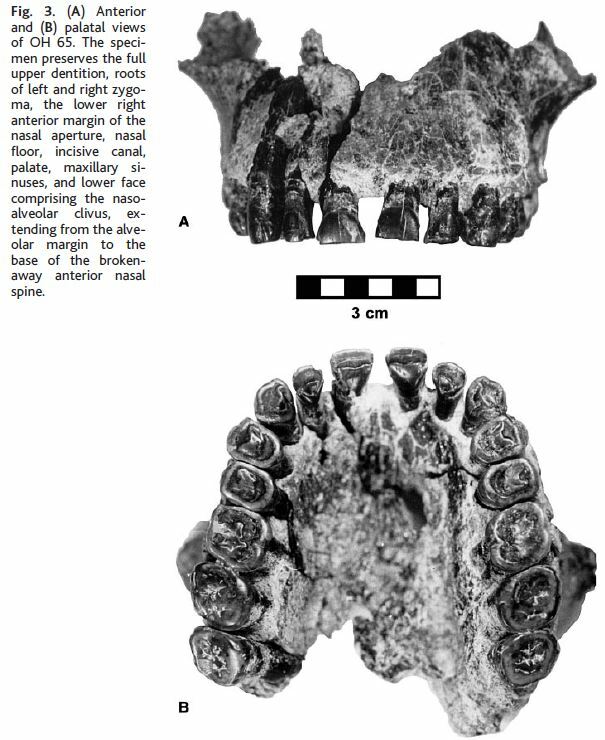 OH-65 was found in 1995 in the Upper Bed I at Olduvai Gorge. It dates to 1.942-1.785 mya. 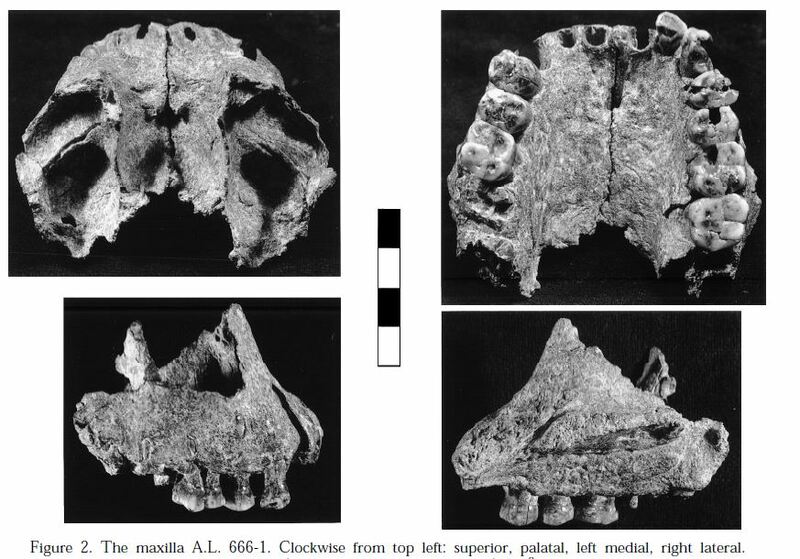 OH-65 is a nearly complete maxilla that has been attributed to Homo habilis. It’s morpholoogy is similar to that of KNM-ER 1470 and the authors of the paper announcing the find use that similary to make two arguments. On the surface these seem to be contradictory arguments unless they are arguing that because H. rudolfensis is a junior synonym for H. habilis the species in the H. rudolfensis group have to be named something else. At any rate, below is a picture of OH-65. Regourdou 1 is a partial neanderthal skeleton discovered in 1957 near Lascaux. Also discovered were the pedal remains of a second individual. 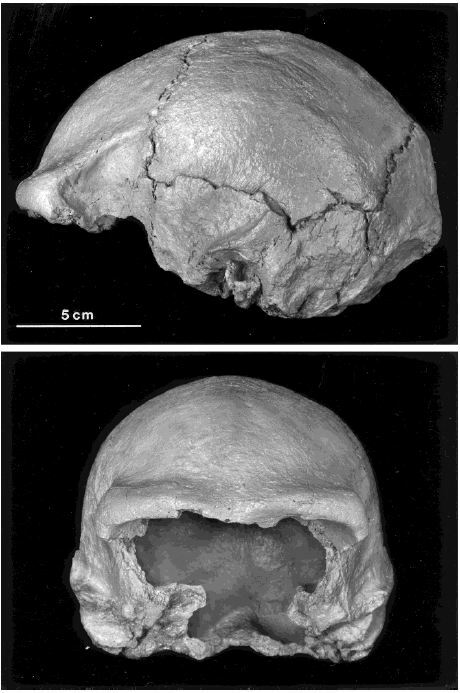 The Dederiyeh Neanderthal infant was found in Dederiyeh Cave, in Syria, in 1993. 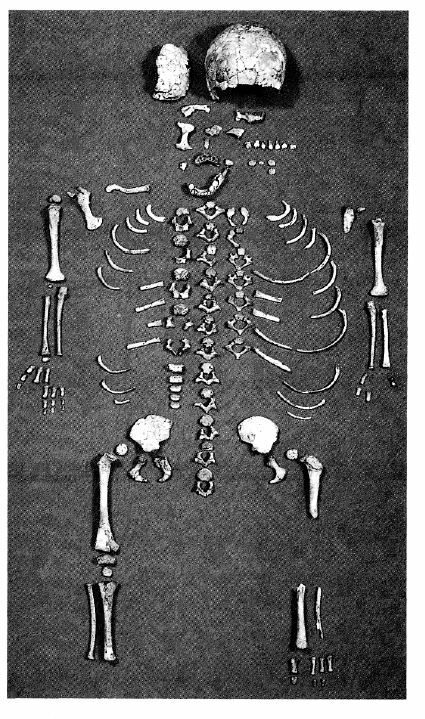 The skelton is that of a two year old and dates to 50,000-70,000 years ago.